Have you been Moose-ified? If you don’t know what that is, you probably haven’t been to Moose’s by the Creek yet, a popular local restaurant near Downtown Charlottesville. 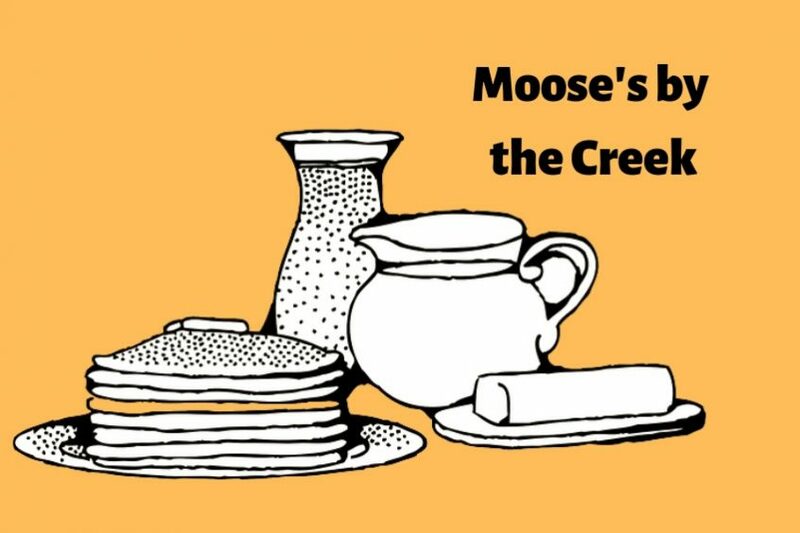 Although it may not look like much on the outside, Moose’s by the Creek is known for their home-cooked breakfast served all day, every day. As soon as you step foot inside the door, staff members greet you with a warm welcome and a smile. On the right just as you walk in, you’ll see a big map of the United States. Not only people from all around America have visited Moose’s by the Creek, but hundreds have written in which country they are from and pinned it to the map. The restaurant has seen visitors from all across the globe. Looking around the restaurant, you’ll see a variety of stuffed creatures mounted on the walls. Mainly, a large moose hangs at the front of the restaurant, with antlers that slide up and down. It’s tradition to take a photo with the moose if it is your first time visiting Moose’s by the Creek. Once you get your picture taken, you’re then Moose-ified and inducted in the hall of fame. Visit their Facebook page to see albums upon albums of all the people who have taken their photo with the moose. Although it may look like a taxidermist decorated the restaurant, it fits with the theme of the place and gives it character. Many of the animals even have names! As people come in for breakfast on the weekend, the restaurant can get quite busy on Saturday and Sunday. Even though the line may lead out the door, the service is quick and the food is always fresh. Along with the traditional staples, the breakfast menu has a few items inspired by the beautiful town of Charlottesville. Pancake lovers, you must try the Carter Mountain Cakes. These consist of two pancakes covered in butter, bacon, and fried apples. The Cville Way features french toast, eggs, your choice of meat, and home fries. Be sure to check the specials board to see what they have going on as it frequently rotates. In addition to serving an exceptional breakfast, Moose’s also offers a great lunch menu. This includes a variety of options including burgers, sandwiches, soups, and salads. What makes Moose’s by the Creek so great? It’s a locally owned and operated restaurant, with a friendly and welcoming staff that will make you feel right at home. Not only do the owners love what they do, they’ll make sure you have an enjoyable experience from the moment you walk in the door until you pay the tab. If you haven’t been Moose-ified yet, what are you waiting for? Arden Place is a luxury apartment community located in Charlottesville, Virginia. Neither urban, nor rural, Arden Place offers the perfect atmosphere for its residents to work and play. Schedule a tour to see why we recently received the 2018 SatisFacts Resident Satisfaction Award.